The new flagship SEAT Leon Cupra 300 has been unveiled ahead of a showroom debut in March 2017. 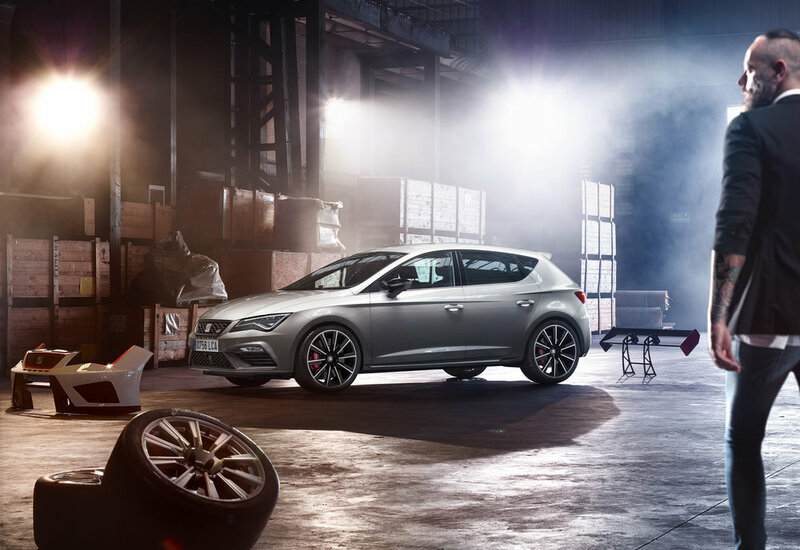 Available in three bodystyles - SC, five-door and ST - and offering a ‘highly rewarding’ driving experience, the newly uprated 2.0 TSI engine pumps out 300PS, making the new Leon Cupra the brand’s most powerful road car yet. The engine is 10PS more powerful than before - up from 290 to 300 - however, maximum torque has increased from 350Nm to 380Nm, resulting in ‘convincing and powerful response’ says SEAT. Harking back to its roots with the 2000 launch of the all-wheel-drive Leon Cupra, the latest Cupra 300 will also now have a similar set-up, with 4Drive traction on the ST version, allied to a double-clutch automatic gearbox (DSG). The new model also comes with dynamic chassis control (DCC), a progressive steering system and electronic self-locking differential as standard. A Cupra Drive Profile can change the dynamic qualities to suit, with four modes to choose from - Comfort, Sport, Individual and Cupra mode - the latter described as the ‘ultimate in hot hatch performance’. Other features include driver assistance systems such as Traffic Jam Assist, Lane Assist, Adaptive Cruise Control and Pedestrian Protection, plus, Electric Parking Brake and KESSY (Keyless Entry and Start). The integrated Media System Plus infotainment system with its eight-inch screen is the 'highlight' of the new-generation, and is for the first time a Connectivity Hub that comprises a smartphone wireless charger and a GSM antenna amplifier for areas with low signal coverage. UK pricing and specification for the new Leon Cupra 300 range will be confirmed shortly.